→Jaaxy Review: My #1 Recommended Keyword Research Tool in the World! Are you looking for an honest Jaaxy review? You have landed on the right place. I was surprised to see that some people had been searching on Google, “Is Jaaxy a scam?” I can already answer that Jaaxy isn’t a scam and I am actively paying for their Pro membership. 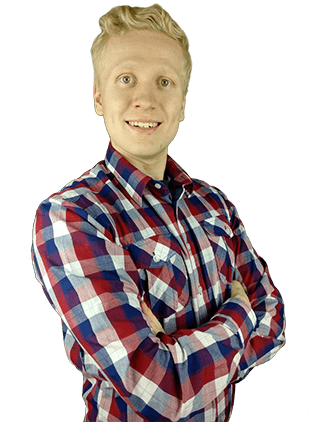 In this review, I’ll explain how you can use Jaaxy to boost your Google rankings. Better rankings will lead to more traffic. And naturally more traffic leads to more revenue. Let me warn you before you start reading the review. If you learn to use keywords effectively, it may revolutionize your whole business. That’s why keyword research and ranking on Google is one of the most important things you can master in the online world. Short Review: Jaaxy is a highly effective keyword tool which helps you to find proper keywords in a moment. It also helps you to find keywords beyond that you would initially research. This can definitely take your business to the next level. 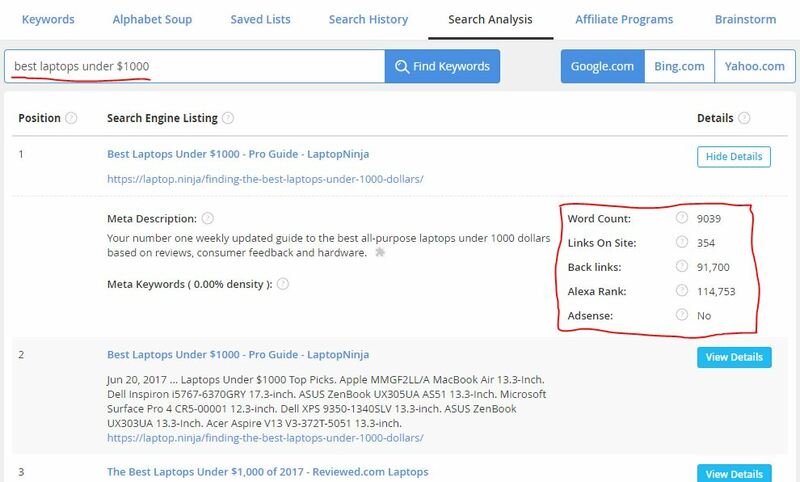 I wasn’t convinced about Jaaxy when they had the version 2.0. but after the latest update, it has turned into my #1 recommended keyword tool on the Internet. All their tools and simplicity makes them superior to competitors. I recorded you a comprehensive video on how to use Jaaxy. I believe it will help you to understand Jaaxy even better. After you have fully watched the video, you understand well how to use Jaaxy. Jaaxy is a neat keyword tool and some professional online marketers claim it’s the best in the world. It helps you to get ranked higher on Google and drive more traffic. Most of the traffic comes to my website through Google because they find my website ranked higher. Probably even you landed here through Google. Site Rank Check -> Shows your current rankings for specific keywords and tracks the progress. If you don’t understand, what all those features mean, don’t worry because I’ll explain them in this article. In a nutshell, their purpose is to help you to achieve high Google rankings. 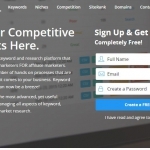 Let’s have a look at their keyword research tool. Let’s say that you have a website about tennis and you would like to write an article about the best tennis rackets. However, you don’t know exactly what kind of keyword you would like to target. Jaaxy can do the heavy lifting for you. Write just “Best Tennis Rackets” on Jaaxy and we’ll see what it gives. Quick results for a search “Best tennis rackets”. Let’s me explain what different numbers mean in Jaaxy. Avg. = The average number of searches that keyword receives per month. Traffic = The estimate of visits to your website if you achieve first page rankings in the search engines. QSR (Quoted Search Results) = The number of competing websites ranked in Google for this exact keyword. KQI (Keyword Quality Indicator) = Green is Great, Yellow is OK, Red is Poor. SEO = A score based on traffic and competition. 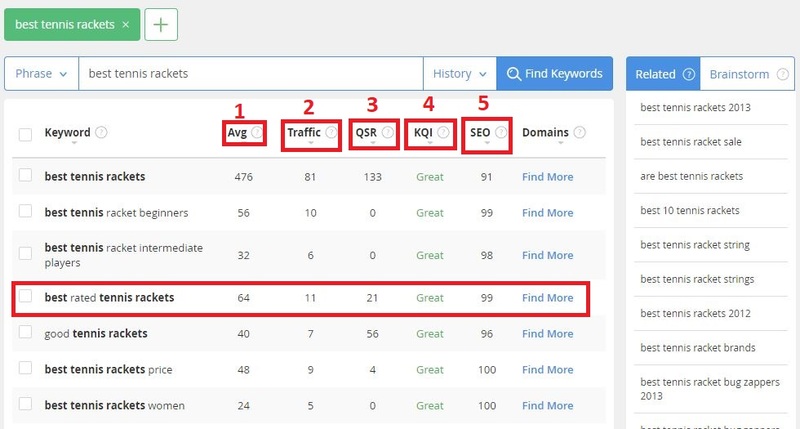 The higher the score, the more likely you will rank for this keyword on the first page (scale of 1-100, higher = better). So, what should you be looking at here? What is the most important metric? If you have a new site, aim for Avg. over 100 and QSR under 100. The more authority your site has, the easier you can also rank for higher QSRs. In my opinion, QSR is the most important single metric. When I started out I even aimed for QSR under 50 or 30. Then it was much easier to get ranked. Of course, I still prefer targeting for keywords that have the lowest competition because it helps me to get ranked easier. In this example of best tennis rackets, there isn’t right away the single keyword that hits 100-100 -rule. However, I have chosen the keyword “Best rated tennis rackets” because it has a very low QSR and still more than 60 searches. 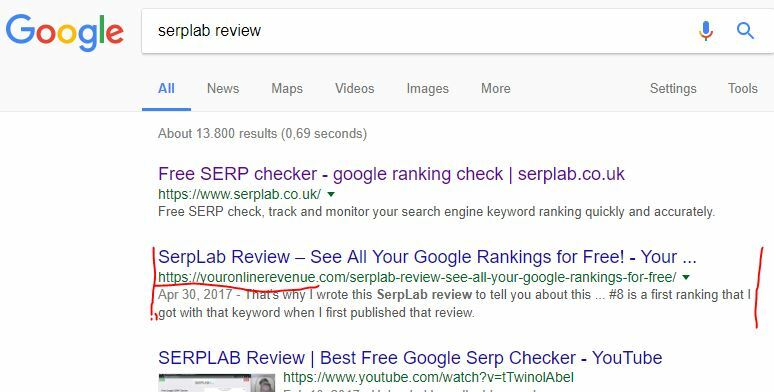 When you rank for that keyword, Google will also rank you for another keyword at the same time which brings you even more traffic. There are also tons of other tools inside Jaaxy but where gonna have a look at them further. Does Jaaxy Really Work? Does It Help You to Rank on Google? Well, let these rankings speak for themselves. I have used the Wealthy Affiliate keyword tool to achieve these but it uses the same metrics as Jaaxy. WA keyword tool is like a “limited version of Jaaxy”. I used that one before because I thought it’s enough for me but now I have decided to take my online business to the next level with Jaaxy. All of these keywords and articles are driving regularly traffic to my website. There are also tons of other examples I could show you but I think this is enough for now. Many times you don’t even need to get ranked #1 or #2 to drive traffic. Sometimes even the ranking #10 drives traffic if it’s a competitive keyword and has a high search volume. I showed those 3 search results right from Google. But Jaaxy has also a cool feature that lets you check and track your rankings more easily. How to Track Your Rankings with Jaaxy? 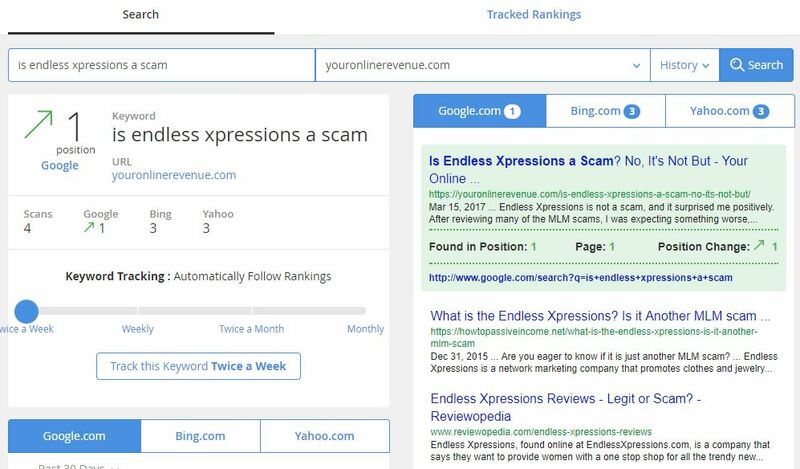 Jaaxy shows that I’m ranked #1 for the keyword “Is Endless Xpressions a scam” and the ranking has gone higher since my last check. 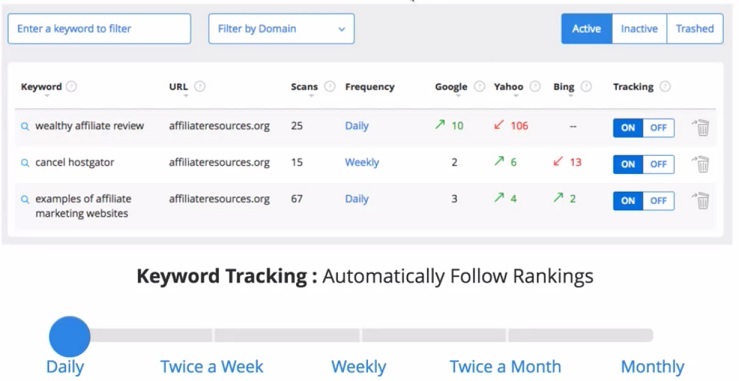 In the picture above, you can see the section on the left called Keyword Tracking: Automatically Follow Rankings. You can let Jaaxy track your rankings and afterward, quickly analyze how they are moving on Google. You can choose tracking for daily (with Enterprise version), twice a week, weekly, twice a month, monthly. Here are some keywords that Jaaxy is actively tracking. In my opinion, this is a really cool feature. Jaaxy also draws you a graph where you can immediately see the ranking progress. I recommend using keyword tracking if you have written an article and want to see how well do you get ranked. I am going to set “Is Jaaxy a scam” for this tracking to see how well this post is being ranked and how it changes over time. Quick Note: When your site has more authority it gets ranked faster and higher on Google. How to get the authority? Follow this step-by-step training. With Jaaxy you can also “spy” your competition and decide whether you’ll have a hard time to get ranked or will it be a piece of cake. Let’s say that you have an affiliate marketing website where you are promoting laptops. Then you want to write an article that targets laptops for under $1,000. Let’s have a look at what kind of competition you’re going to face when trying to rank on Google. Jaaxy shows you top 10 results on Google and important details about those websites. You can see on the right side the word count of that post, how many links there are on the site, backlinks, Alexa rank and whether the website is using AdSense or not. This information will give you even more detailed information about your competitors. In this case, we can see that the website which is ranked #1 is quite a strong one. 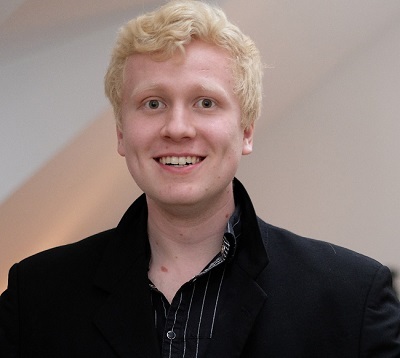 The article is huge with more than 9,000 words and there are more than 91,000 to this website. It can be hard to outrank this one. Then you can, of course, have a quick look at other websites on the first page. As I mentioned above, many times you don’t need #1 ranking to drive lots of traffic to your website. How to Make Money with Jaaxy? I don’t like spending my money. On the other hand, I like investing money. I think that buying Jaaxy is an investment rather than spending money because it will pay itself back multiple times. Let me explain how. First of all, Jaaxy is going to save you tons of time. And as we all know, time is money. Let’s have a simple example. You earn on average $25 per hour. Now you use 10 hours per month for figuring out keywords and how to get ranked on Google. What if you could cut that time to half? Or even more? 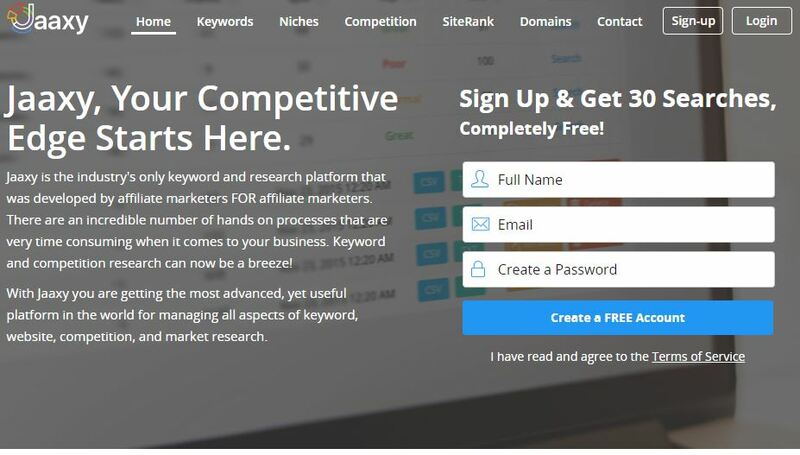 Let’s say that after buying Jaaxy you’ll use only 5 hours per month for a keyword research. It saves you $25 * 5 = $125 per month. That’s impressive but it’s not the most important thing here. You are still spending 5 hours per month so you want some kind of income for that investment. What could Jaaxy give you? 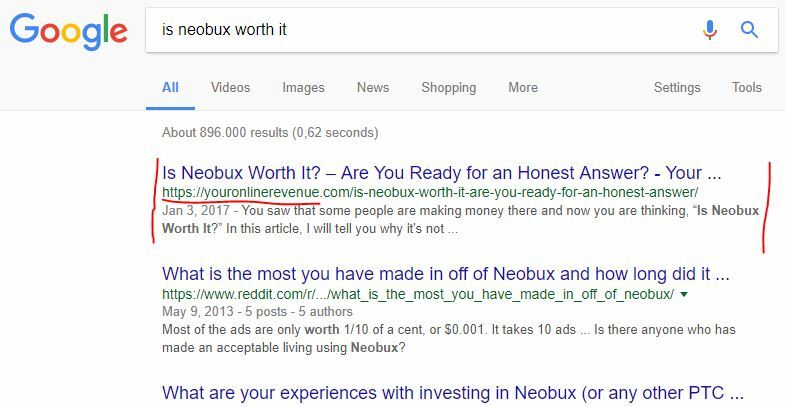 My friend and mentor Nathaniell Brenes published some time ago a post where he explains how he earns $300 per month from one blog post. Imagine if Jaaxy can help you to find even 5 that kind of keywords that bring you $300 per month. It equals to $1,500 per month! Now it’s getting interesting. And as you know, an online business can be scaled endlessly. You can write 10, 20 or even 50 that kind of posts. Do you remember three Google rankings that I showed you earlier? All those posts are making more income. Without a good keyword tool, I would have a tough time to figure out how to get ranked and traffic. At the moment most of my traffic comes from search engines. It means that even though I wouldn’t work for 1-2 months, my traffic would still most likely grow or at least stay the same. That’s the power of keyword research and Google rankings. 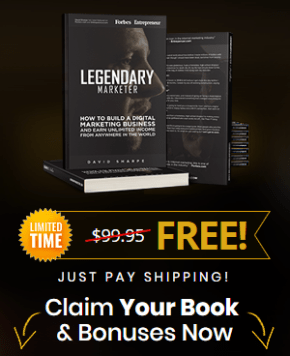 => Want to Generate More Income Online? Take Your Business to the Next Level with Jaaxy! I usually take a look at other people’s experiences and reviews while writing my articles. Hearing from other people gives a wider perspective and helps me to understand whether other people enjoy using the tool as well. Several successful online entrepreneurs including Nathaniell Brenes, Jay Neill, and Jack Cao are actively using Jaaxy and seeing great results. Imagine that many of them were recommending Jaaxy even before the big update. Now when Jaaxy 3.0. is release it’s more powerful than ever. The reason they like to use Jaaxy is that it really helps them to achieve high Google rankings and track the progress effectively. Jaaxy has 3 membership options: Free, Pro and Enterprise. I started out with the free account because then I didn’t need to pay anything of it but still was able to use Jaaxy sometimes. However, now I have upgraded my account because I saw a clear benefit with paid accounts. You can see the differences between Jaaxy pricing plans here. I recommend that you at least try Jaaxy Pro or Enterprise for one month to see how all their features can boost your business. The price of a Pro is like 1-2 cheap pizzas per month. Conclusion – Is Jaaxy Worth It? Yes, Jaaxy is worth it. I am paying for their yearly membership and I’m excited how this tool can take my online business to the next level. There are so many ways to benefit from this tool. I can use it to make my own websites rank higher on Google but that’s not all. I can also search keywords for clients and sell keyword packages. Did you know that many people are doing it online on websites like Fiverr and making good money? Then I could contact some local businesses to help their rankings. Or I can create a website, rank on Google and partner up with some people who want advertise their business on my site. Therefore, there are numerous ways how Jaaxy can transform your business and bring you more income. Why wouldn’t you try it today for free? => Transform Your Business Today with Jaaxy! How would you benefit from using Jaaxy? Would you use it to rank your own websites or are you going to help your clients? If you have any questions of Jaaxy, keyword research or ranking on Google in general, don’t hesitate to leave them below and I’ll be more than happy to help you out. Didn't Find Any Cons After Their Recent Update. Take Your Business to the Next Level with Jaaxy! Long Tail Pro Vs Jaaxy: Which One Is the King?